Raina Kalpna Mistry Haywood has arrived! Our June baby decided that she wanted be a May baby. We are pleased to welcome our new addition, Raina Kalpna Mistry Haywood. 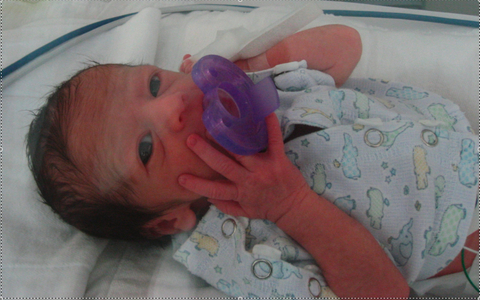 Born on May 27 at El Camino Hospital, Mountain View. She came in a little smaller than her brother and sister at 3 lbs, 13 oz. and 17 inches long, but is healthy, happy and growing. Raina will be enjoying resort style infant care for another week or so under the great care of the El Camino Hospital NICU nurses. We will post more photos after we bring her home.